Career changes are becoming common among professionals in recent years. Many physicians may want to change direction, but often do not know whether it is the right thing to do or if pursuing a career outside of clinical practice would achieve their professional goals. Doctors have the training and education to contribute to society in many beneficial ways in addition to traditional clinical practice. Yet, there is no formal mapped-out route for doctors who want to pursue alternative careers, which is where Careers Beyond Clinical Medicine comes in. Doctors at any stage, from early in training to mid-career, to nearing retirement, can use Careers Beyond Clinical Medicine to clearly evaluate the issues involved when considering a career change. 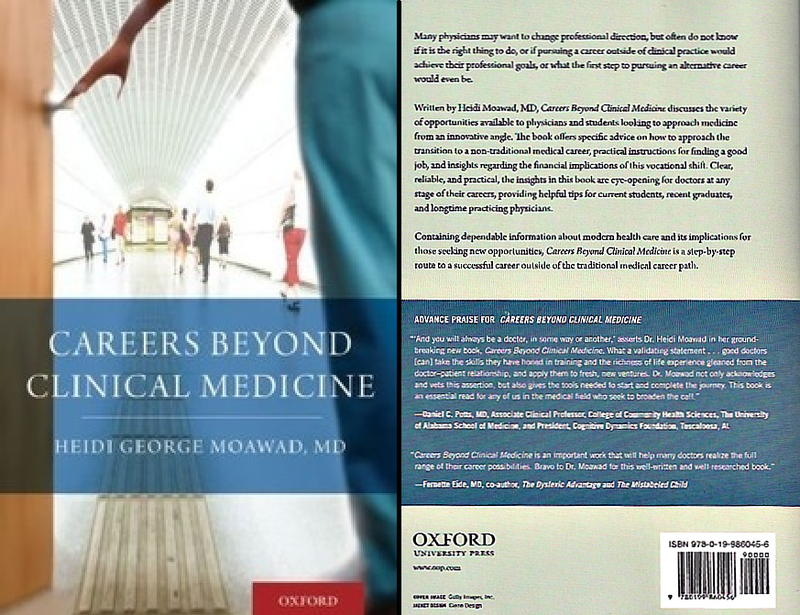 This book shows physicians how they can serve society and patients in innovative ways, and make a notable impact on health care delivery, policy and quality when they use their medical background in a non-traditional career pursuit. The numerous unadvertised opportunities for physicians are explored and a step-by-step route with practical advice for finding the best career is described. Recent advances in healthcare technology, medical science, patient education require physicians to play new roles that have not traditionally been well-defined. Doctors can innovate and have a long-term productive impact on healthcare in the United States and throughout the world if they learn to seize the non-traditional career opportunities available to physicians, or even create a new way to fill a void in health care. Careers Beyond Clinical Medicine helps illuminate that path. Heidi Moawad, MD, was trained at the University of Chicago and has worked as a Neurologist in Chicago and in the Department of Neurology at Case Western Reserve University in Cleveland, Ohio. She is active in the American Academy of Neurology in the areas of medical economics, payment policy, and patient and physician advocacy. She has also worked in the insurance industry as a physician consultant for seven years. She currently teaches undergraduate courses at John Carroll University in Cleveland, Ohio and volunteers as a Neurologist at North Coast Health ministry in Cleveland, Ohio. 1. If I'm a Good Doctor, Why Do I Want to Do Something Else? 3. Is It OK if I Leave Medicine? 4. The Vision: What Do I Want to Do Next? 5. What Else Am I Going to Do Anyways?